This was a part of my morning view, 90% of the days I went to school. SO lovely! Did you follow the tracks to school? We used to walk the tracks-- The Sacramento Northern, an electric railroad. A nice memory. This is a very evocative shot. Uma perspectiva fantástica, aproveito para desejar uma boa semana. 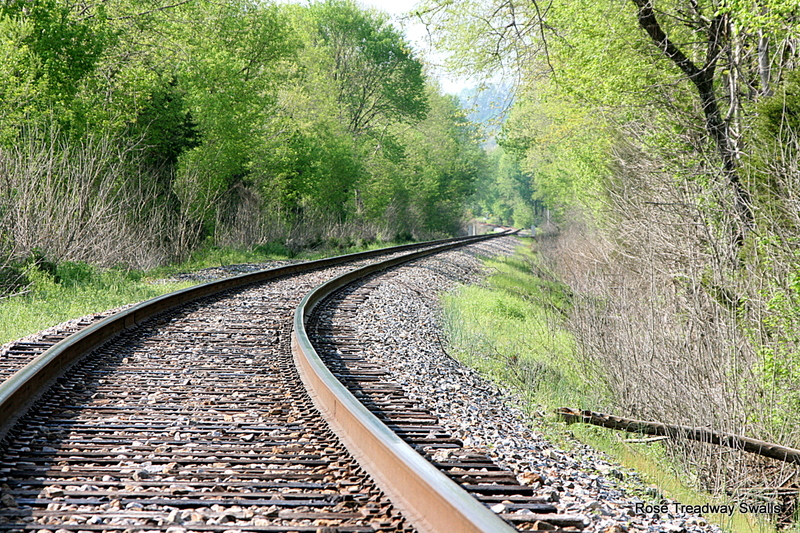 Hello, it is a pretty view looking down the railroad tracks.. I love all the green trees. Enjoy your day, have a great new week! Did you walk to school along this route? This is a great picture, Rose. NICE. I used to play on the tracks all the time when I was a kid even though my mom told me to stay away from them.